In recent times, computer networking, otherwise referred to as the Internet, has revolutionized the way in which people communicate with each other. This revolution began in earnest in the 1960s and reached a crescendo in the 1990s. Today the Internet provides three main vehicles of communication to individuals. These are by way of electronic mail or email which is the most used internet facility; bulletin board postings and analogous group communications such as Facebook, twitter and YouTube; and the world wide web which enables computer users to browse and retrieve information stored on a vast number of interconnected computers. The Internet therefore has provided yet another avenue of communication which has significant implications for the law relating to defamation. Defamation is a catch-all term which incorporates the offences of libel and slander. Libel refers to a false statement made against the reputation of a person or persons in a permanent form such as in a newspaper, a book, or other printed material. It is actionable per se which means that the law presumes that damage has been caused to the reputation of the plaintiff and that he or she ought to be compensated for that in any event. The plaintiff may even be awarded special damages in certain situations. Slander is a defamatory statement in a transient form principally by means of spoken words or gestures. With slander, the plaintiff will only be awarded compensation in special circumstances such as imputation of crime or imputation of being diseased or if it is shown that actual damage has been caused such as, loss of a job or refusal of credit facility at a bank. These offences were established long before the Internet came into play, and therefore the Internet presents a number of challenges to the related law. One of the challenges which the Internet poses is the question as to whether defamatory statements which are made on the Internet constitute libel or slander. In Grenada, the Libel and Slander Act of 2010 takes its queue concerning what constitutes communication in a permanent form from what transpires in the United Kingdom. It is submitted that in accordance with the United Kingdom’s Communications Act of 2003, and also at common law, Internet communications may be deemed to be in a permanent form and therefore defamatory statements on the Internet may be considered to be libellous. This submission is still open for debate. Another challenge which has been posed by the Internet concerns the question as to who may be held liable for a published defamatory statement on the Internet. At common law persons who intentionally or negligently participate in or otherwise authorize the publication of defamatory material are as potentially liable as if they were the original author. This means that in a newspaper publication for example, the author, the publisher, the editor and printer of a defamatory statement may all be liable. These individuals are generally easily identifiable, however, with regards to an internet publication, the publishers are not so easily identifiable and their geographical location may even prove to be most difficult to locate. It may be assumed, however, that service providers and certain intermediaries may be held liable but this situation is not conclusive. In order to prove libel, the plaintiff must show that the words used were defamatory as a matter of normal interpretation or by innuendo; that they referred to the plaintiff; and that the words were published to at least one other person other than the plaintiff. However there are a number of defences which are available to a defendant. He or she may show justification if proof can be established that the alleged defamatory words were true in substance. A defence of fair comment may also be used on a matter of public interest. This defence seeks to preserve the right to freedom of expression, however this defence may be extinguished if the plaintiff can prove that the defendant acted with malice. Moreover, the statement must be a comment or opinion and not an assertion of fact and it must be based upon true facts. Absolute and qualified privileges may also be used as defences where reports are made about proceedings in parliament or in a court of law. Generally, libel and slander are regarded as civil offences which individuals are free to pursue in the courts in order to protect their reputation. However, a dwindling number of countries have criminalized certain forms of libel which offence is punishable by imprisonment. Whether or not libel in any form should be regarded as a criminal offence is a matter for further debate. 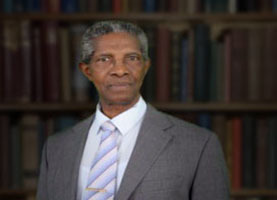 It must be borne in mind, nonetheless, that certain general principles concerning freedom of expression have been laid down by section 10 of the Grenada Constitution and Article 19 of the United Nations International Covenant on Civil and Political Rights to which Grenada has been a party since 1991. It has to be borne in mind also, that whilst freedom of expression is a fundamental right, a proper balance must be ensured in order to protect the reputation of individuals in society.